Dallas – John Scully has been selected for inclusion on D Magazine's "Best Lawyers in Dallas 2017" list, set to be featured in the May issue of the publication. Mr. Scully, recognized for his tort product, medical liability and personal injury trial work, is routinely retained to try high-dollar exposure cases involving an array of industries. 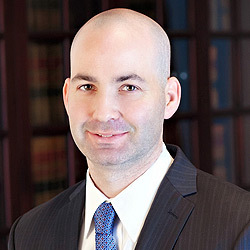 John is Board Certified in both Civil Trial Law and Personal Injury Trial Law, and has been elected to the American Board of Trial Advocates (“ABOTA”). The "Best Lawyers in Dallas 2017" is an esteemed list published annually in the May issue of D Magazine. The best legal professionals are voted on by their peers across 38 specialties. After tallying votes, finalists are selected by the magazine's editorial staff. The complete list of honorees will be featured in the May issue, and can also be found at www.dmagazine.com.